While Archon Firearms is still widely unknown in the shooting world, they are on their way to building one hell of a brand. The Las Vegas-based gunmaker is currently undergoing a tremendous redesign that looks quite promising. I met up with a few representatives from Archon at the 2018 SHOT Show and got the lowdown on the mysterious company. I’m happy to share with you what I learned and what to look forward to this coming year. While Archon is still largely anonymous, many shooters may be familiar with their original brand, Arsenal Firearms. The decision to rebrand was a bold one but they believe it will all pay off soon. The Vegas-based gunmaker was facing legal pressure due to some questionable trademark laws regarding their name. After much deliberation, they figured it was better to rebuild their brand than to go through a long and unnecessary legal battle. Although their team is rebuilding in the states, Arsenal Firearms is still very much alive and well in Europe. In fact, they recently teamed up with RUAG – a major Swiss tech company – to create the impressive STRYK B Pistol in 9mm. This follows their underwhelming Strike One pistols built with a full-size Ergal-frame. Arsenal Firearms has come a long way since their debut back in 2005 when they were manufacturing true-to-scale reproductions of famous weapons from history. 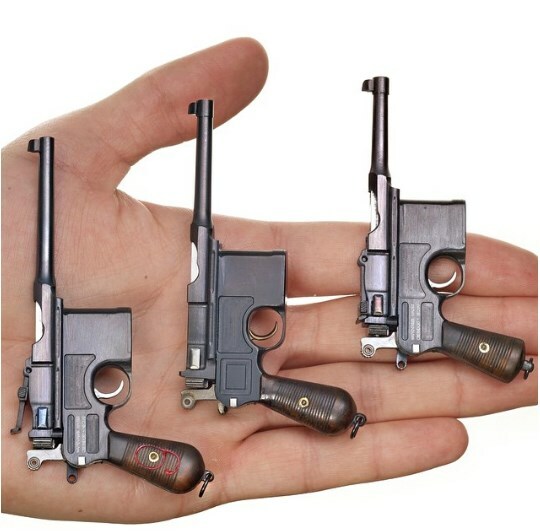 In addition to the AK-47 and Tommy Gun, they’ve produced a seriously cool collection of fully-functional miniature guns. Eventually, the Arsenal team decided to get into practical semi-auto pistol development. Nowadays, they’ve become known for creating the AF-Speedlock locking system for full-size pistols. This nifty invention can significantly boost accuracy by controlling barrel tilt by means of a fork-shaped locking block. Now it’s time we take a closer look at this updated striker-fired semi-auto. The Arsenal STRYK B and Archon Type B look great on paper and even have the performance to back it up. Besides for being a much-needed upgrade on the original model, the Type B is pretty solid double-stack 9mm in its own right. You might think that it’s just another knock-off polymer pistol, but the extremely low bore axis and innovative AF-Speedlock help it stand out from the crowd. For starters, notice the unique grip stippling which was carefully designed to improve handling and ergonomics. Likewise, the user-friendly semi-auto was built with an integrated flared magwell for increased tactics. Furthermore, while its black polymer is pretty standard, I was excited to see they added a special coating to the steel components to increase durability and longevity. Upon closer examination, I noticed they opted for the traditional beavertail frame but added some pretty sweet modern features. For example, I was interested to see a flat-faced trigger, rear and front slide serrations, and standard Glock dovetails. Lastly, I should mention that Archon incorporated a 3-fold safety system including a trigger bar disconnect, firing pin safety block, and a customary trigger block. Between the effective sight system, innovative AF-Speedlock, short-reset trigger, and aggressive grip mapping, the Type B delivers a great shooting experience. Most notably, the Type B promises to be one of the best semi-auto 9mms for fast and accurate follow-up shots. 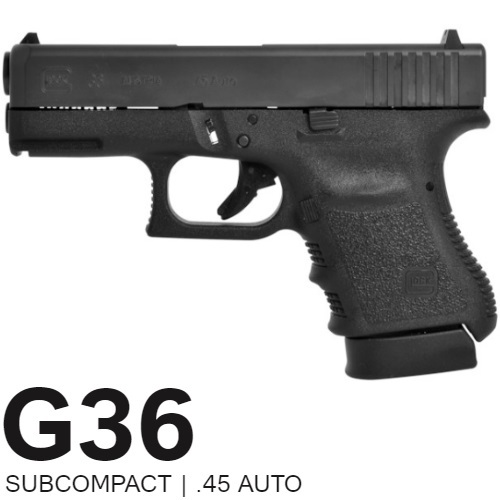 It may not be a gun that I would carry on my person, but it’s something I definitely plan to add to my collection for range time. 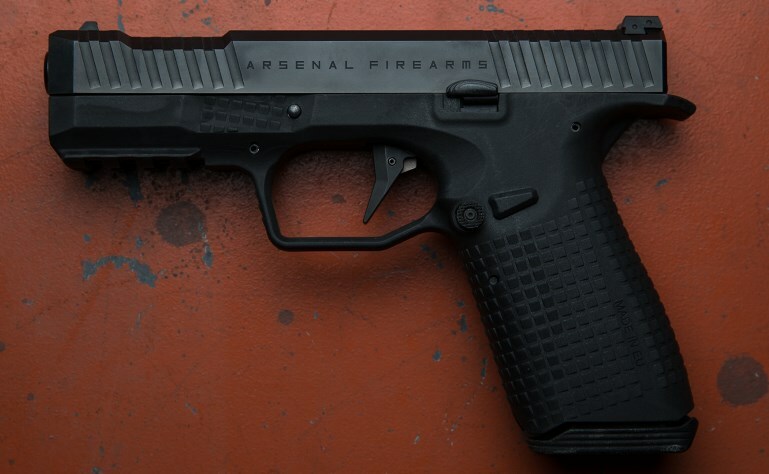 Arsenal and Archon both recommend using GECO ammo for their Type B pistols. In fact, GECO created six different rounds specifically for use in these semi-autos, including hexagon, hollow point, and FMJ. 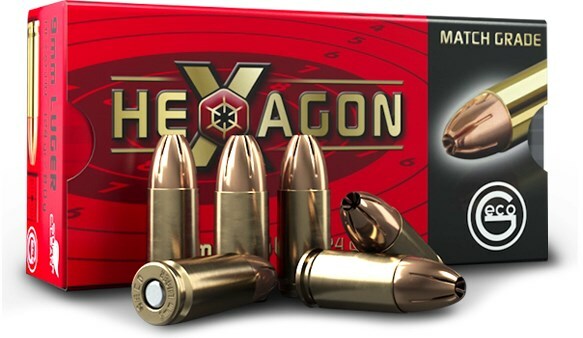 Nevertheless, most users can’t get enough of the hexagon rounds which promise enhanced aerodynamics and accuracy. The state-of-the-art ammo gets its name from the fact that it’s designed with six separate grooves to alter the bullet’s center of gravity and overall trajectory. At the end of the day, it won’t be long until Archon takes off and becomes an industry favorite. Few new polymer semi-autos offer anything new and exciting these days but Archon’s Type B looks to change that trend. I recommend getting your hands on one of these and trying it for yourself – You won’t be disappointed.